It would be tempting to revert to same old, same old. Except there’s only so many ways we can make that cookie crumble. And now this year, I’ve done a little variation on the theme. 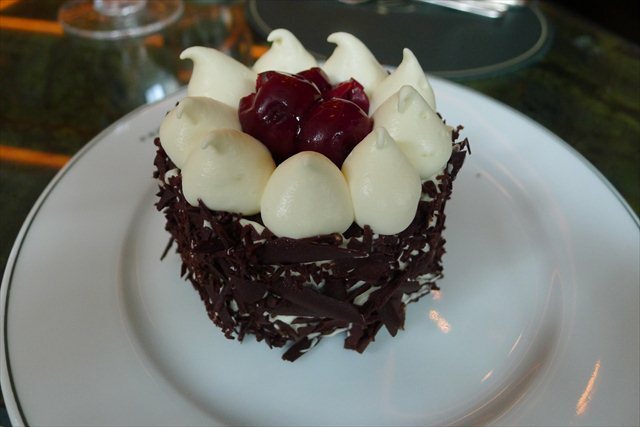 At its essence, black forest is all about the flavours; not a riot of sponge cake, fruit, booze and cream. To me, the extraneous part is cake. 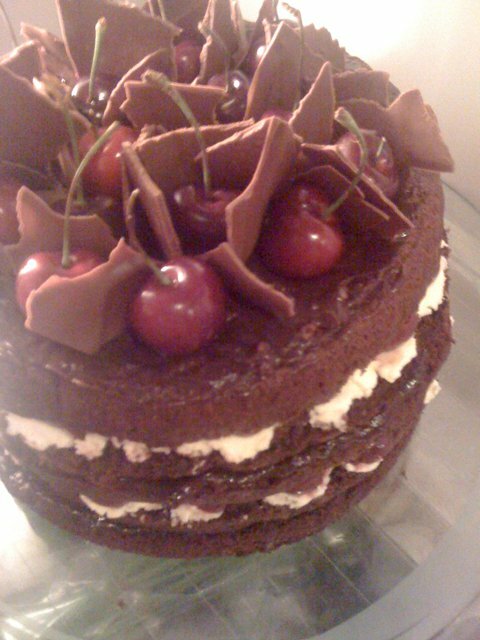 We can let others eat cake. So this year I took his favoured notes of pitch dark chocolate and cherry and put them into a tart. All the favoured components are still present and accounted for. 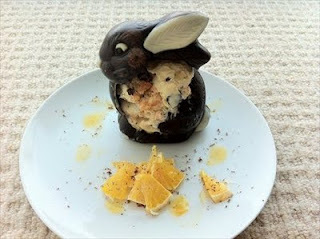 There’s dark chocolate and milk chocolate muddled together in the filling. 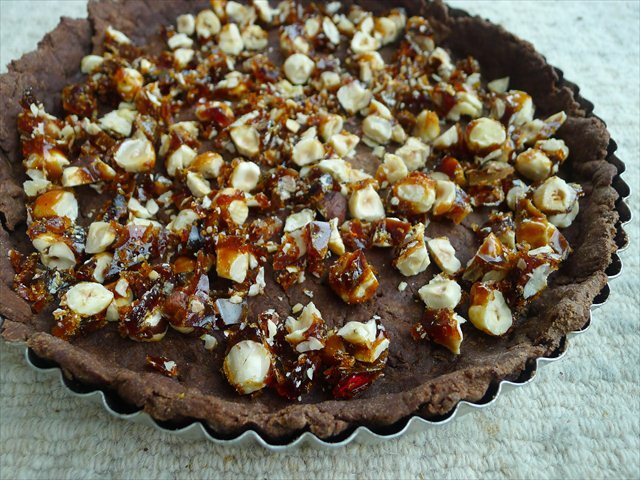 At the base is the surprising crunch of hazelnut praline. There’s chocolate pastry, made this time with olive oil instead of butter; because we can. 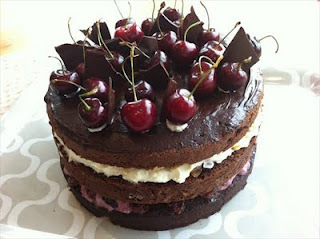 Over the top there are whole cherries and more praline. And then, to gild the lily, there’s a textured ice cream; which is essentially the mother of all ‘smush ups’. There’s a little bit of cake in the ice cream; I’m talking about chunks of gooey brownie (best made using this recipe). 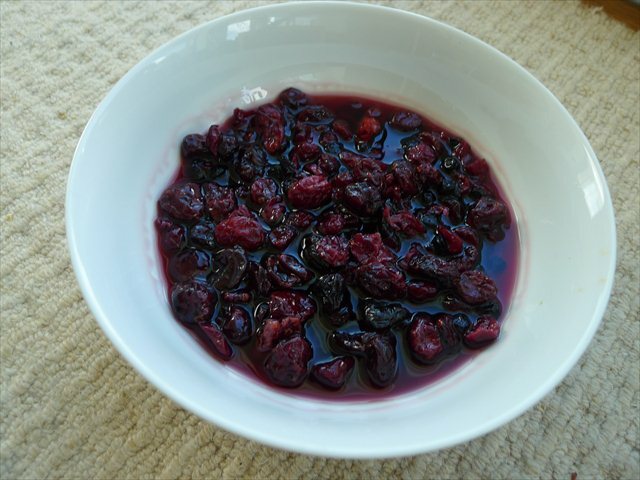 There are dried cherries, soaked in cherry brandy- so that takes care of the lick of booze. For a little novelty pop and fun there’s cherry poppy candy, coated in chocolate (by coating the candy in the chocolate, you can preserve some of it’s pop when it comes in contact with cool things like cream). If you had an ice cream maker, this mess would be delightful folded through home made vanilla ice cream. If like me, your flat can barely contain your winter coat, let alone extra kitchen contraptions, then store bought soft vanilla will also suffice. We ate the cake and tarts at the end of a long boozy dinner at Pizarro in Bermondsey. During dinner we may have seen Jude Law over our shoulder, we may have eaten jamon so good that it bordered on a religious experience. We may have had the pleasure of celebrating with some of our oldest friends, who had flown to the other side of the world to join us. 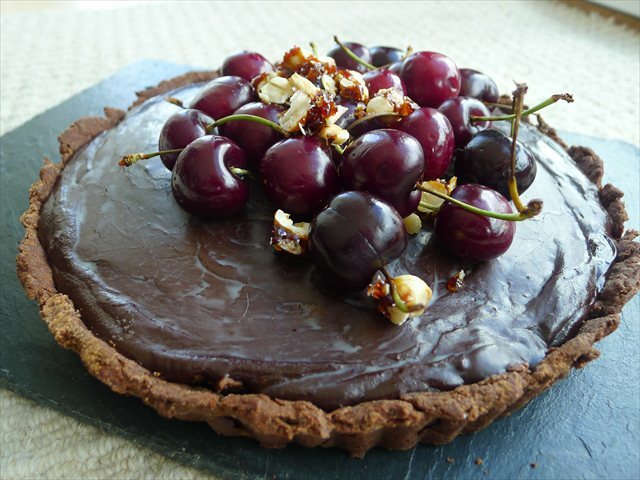 But the sweetest part of the evening was the tart we all ate at the end of the night, back at home, washed down with either cherry brandy, Pedro Ximenex, Hazelnut liqueur- all safe in the knowledge that there was still a slice or two left over to pick at for breakfast. Nb, the ice cream is best made the day before. 200 grams of cherries to serve. 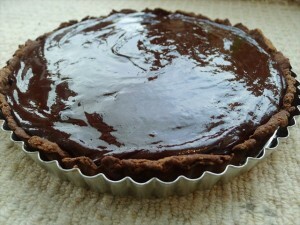 1) Lightly grease a 28-30 cm tart case. 2) In a mixing bowl whisk together the flour, sugar and cocoa. Drizzle in the olive oil and mix with a fork. Pour in the water and mix until it is absorbed and then knead until the dough joins into a ball. If it is too dry, add a little more cold water. 3) Sprinkle four on a clean work surface and use a rolling pin to roll out the dough into a circle. 4) Transfer the dough into the pan, leaving a little extra dough to the side to patch any holes that appear when baking. Place the dough in the fridge for 30 minutes. 5) Preheat the oven to 200 C/400 F.
6) Prick the pastry with a fork and fill with non stick paper and baking beans. Blind bake for 20 minutes with the beans in, then for 5 minutes without. 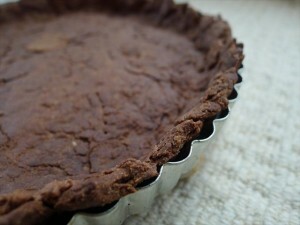 Patch any holes, bake to solidfy the pastry and set aside to cool. 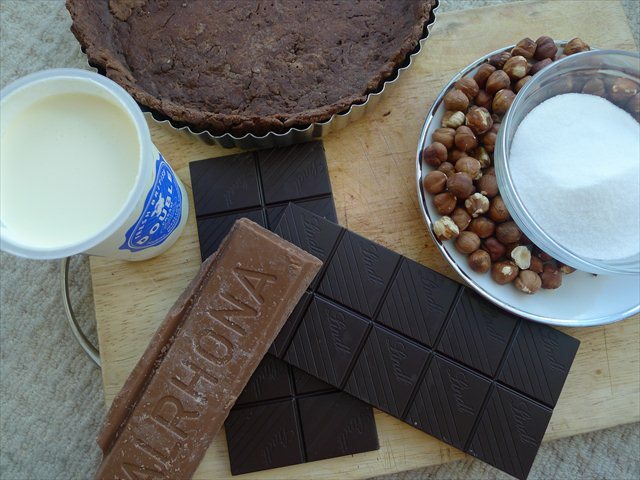 1) To make the hazelnut praline melt the sugar in a clean, dry fry pan until golden. Do not stir, just shake the pan until molten. Do not touch, liquid toffee is roaringly hot. 2) Place the roasted, skinned hazelnuts on a plate lined with baking parchment (the easiest way to rub the skins off the hazelnuts is to place them in a clean tea towel or on paper towel and rub until the skins shirk away). 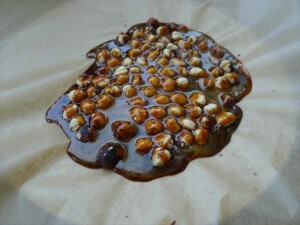 Pour the liquid toffee over the top of the hazelnuts. Set aside to solidify and cool. 3) When the toffee is hard and cool, use a shark knife to roughly cut into shards. 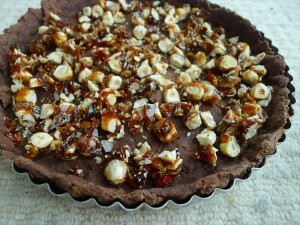 4) Place 3/4 of the praline pieces on the bottom of the cooked tart shell. 5) To make the rest of the filling place the cream in a saucepan and bring to a simmer. 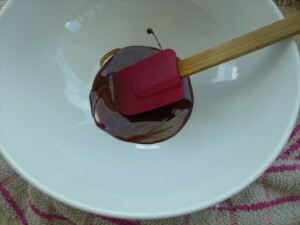 Add the chocolate and stir until melted and combined. 6) Pour over the top of the praline in the pastry case, smooth the top and refrigerate until set (around 2 hours). 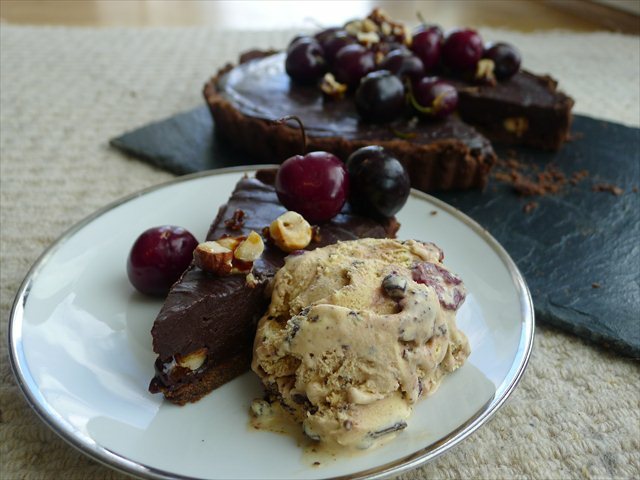 7) Serve with black forest ice cream, fresh cherries and the remaining hazelnut praline. 1) Two days before serving combine the dried cherries with the brandy and cover. Set aside to soak, so the cherries plump up and absorb the brandy. 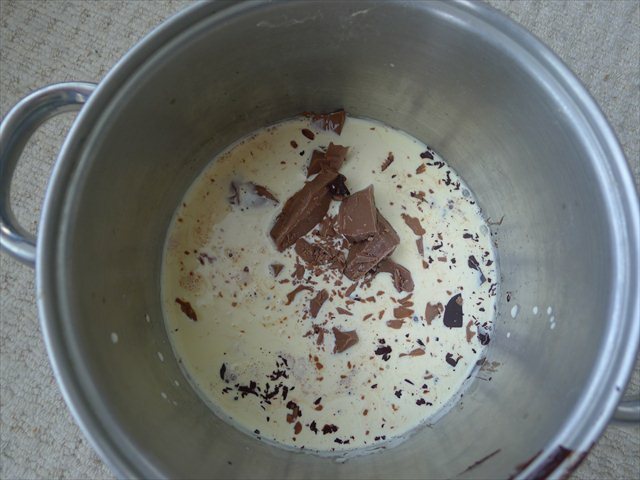 2) To make the popping candy pieces melt 30 grams of dark chocolate in a double boiler. 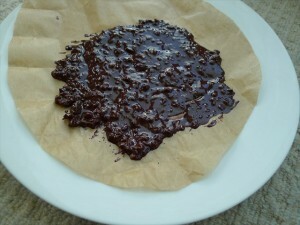 Place the popping candy on a piece of baking paper on a flat plate. Pour over the melted chocolate and set aside to cool and solidify. Then cut into small pieces. 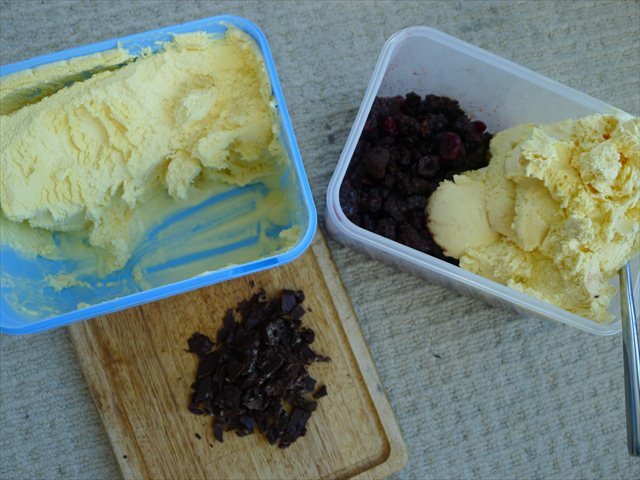 3) To make the ice cream transfer the vanilla ice cream to a larger tupperware. 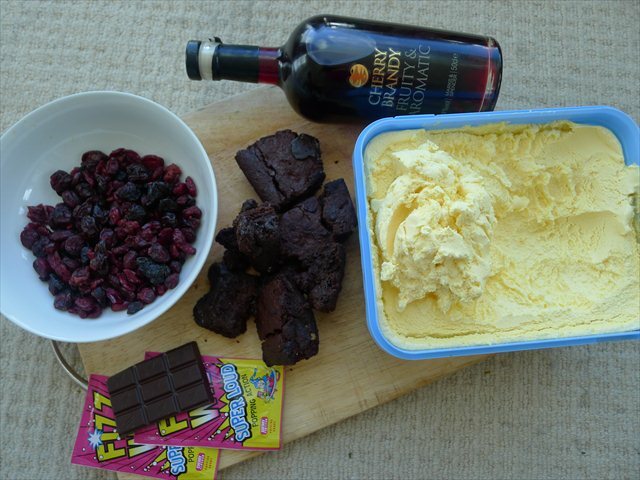 Crumble in the brownies then fold in the cherries, any remaining brandy that’s pooling in the bottom and the shards of popping candy chocolate. 4) Stir to combine and then re freeze before serving. I remember last year’s cake, and while reading through this post I was wondering how you were going to shake things up- never saw the tart coming, but think it’s a great idea! I’ll be making a rum-raisin cake for my husband’s birthday this week (maybe channeling your creative spirit). Happy belated birthday to the Hungry One. 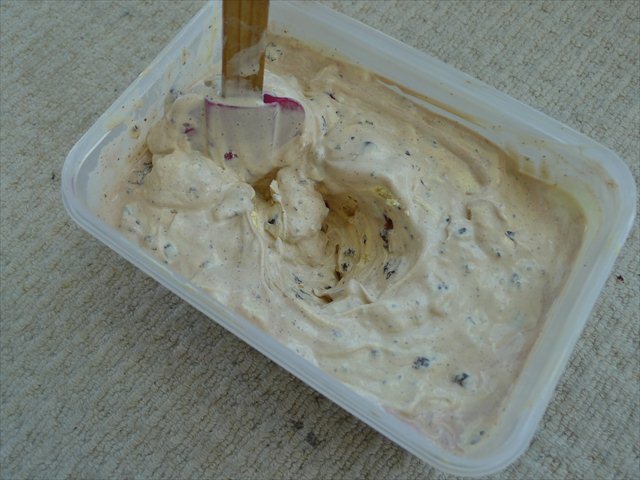 I just made an ice cream sans ice cream machine with very similar ingredients, although I never would have thought of choc covered popping candy! My good lord. Happy birthday to him but WOW!